Information about Music: What is KLEZMER Music? What is Jewish Music? What is KLEZMER Music? What is Jewish Music? Klezmer is the traditional instrumental music of the Yiddish-speaking Jewish community that lived in Eastern and Central Europe since the Middle-Age. It was played by the Klezmorim, who were professional itinerant musicians traveling from town to town, from village to village playing for various celebrations, secular or religious, especially weddings. They played the Jewish traditional repertoire but as very skilled musicians they were able also to play the folk tunes of the local population, as well as the classic repertoire that was popular at this time. Klezmer is a Yiddish word which is the contraction of two Hebrew words, kli which mean vessel or instrument and zemer which means voice or song. So the klezmer is the instrument of the song, the vessel of the voice. It is a very appealing and charming music which encompass all the human emotions, from laughter to tears, from joy to sorrow, from despair to hope. It reflects the daily life, the culture and the spirit of the Jewish people of the diaspora who were wandering since the Temple destruction. The roots of the Jewish music can be traced back to the Old Testament, (The Psalms of David). Since then the Jewish music tradition has spread all over the European continent and has been influenced by the cultural surroundings of the Jewish communities, from Andalusia to Moldova. In the ghettos, the Jewish people were subjugated by a lot of strange and compelling laws and regulations, among them was the banning of playing loud instruments like brass and drums. Therefore the violin which can be played softly and can be carried easily was the instrument of choice of the early klezmorim bands. The fiddler was generally accompanied by a cimbalom (dulcimer). In the second half of the 19th century the clarinet shares the lead with the violin in most of the Klezmer orchestras, nowadays, the clarinet is the essential lead instrument in most of the klezmer ensembles. From 1880 to the early twenties of the 20th century, there was a massive immigration of Jews from Central and Eastern Europe to the United States. A lot of talented musicians were among them, and they brought their music with them. It was the time of greatest success for klezmer music in America. After a period of dormancy there was a rebirth of klezmer in the late seventies, in Europe thanks to Giora Feidman, and in America, Andy Statman and "The Klezmorim" were some of the initiators of the klezmer revival. In conclusion, the Klezmer may be assimilated to an ethnic music or a Jewish music, but in fact, it carries a universal message, a global language. Klezmer is one of the most popular world music which is played by thousands of musicians bands, groups, and listened by thousands of fans, around the world, mostly not Jewish. 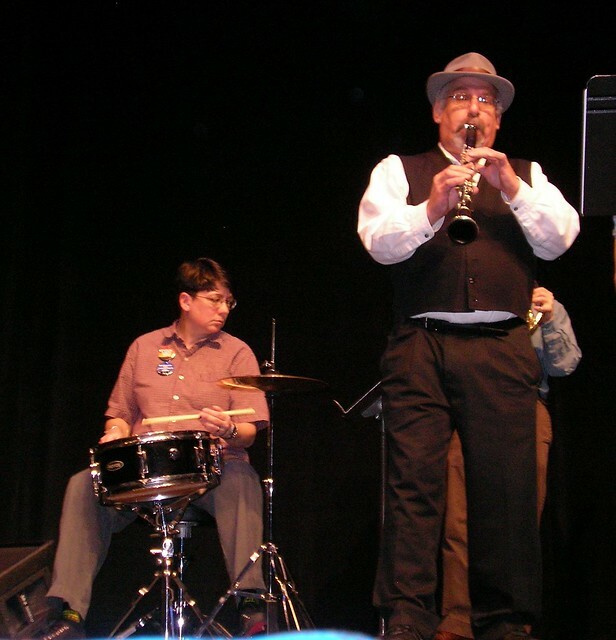 Arik Nitsan is a clarinet klezmer musician whose aim is to share his passion for klezmer via his Web site, Clarinet Klezmer.